Are you building a new house or is your plan to renovate your home to enhance its appearance? Are you wondering if garage door manufacturers have anything new in 2016 to suit your tastes? 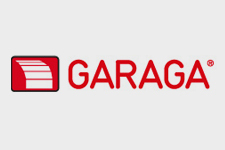 Garaga is a manufacturer that strives to create new garage door designs that perfectly coordinate with your house, whatever its architectural style is. How do the preferences of Canadian homebuyers influence the type of construction in Canada? In 2015, the Canadian Home Builders’ Association (CHBA) conducted a survey of 12,000 Canadians to learn their preferences, whether they were planning on buying a house or making major renovations to their current home. The results are surprising people in the construction industry. Homeowners are more informed than ever thanks to the Internet and, in this context, it is important to understand their expectations. Hanging a Bike on Your Garage Wall? Don’t Make These Mistakes! If you are looking for a way to hang your bike on your garage wall to conserve space, proceed with caution. If you fail to securely fasten your bike to the garage wall or ceiling, it can tumble on out and not only become damaged itself, but also damage your vehicle or even your child. Those who’d like to hang a child’s bike in the garage should opt to place it on the wall or a bike stand rather than the ceiling so that the child can access it with ease. An adult’s bike can be placed on either the wall or the ceiling. Be sure to use heavy-duty hooks with a plastic coating that you can hook right onto the tire and turn the bike upside down. These types of hooks will function as a solid means of support and they’ll also prevent your bike from accumulating scratches. Take a moment to measure the bike so that you can accommodate it with the proper spacing before you actually get to work. When you go to install the hooks, don’t place them in any old place.